[toc] Some of the major areas of concern for both men and women equally are body, skin and hair. Herein, when we talk about hair specifically, there are a lot of problems that people are facing nowadays. Be it unhealthy lifestyle or the increasing pollution, the hair problems are increasing day by day and creating a major nuisance with the personality of the beings. The most common crises associated with the hair include hair thinning, breakage, and hair fall. This is leading to permanent loss of hair and in extreme cases causing baldness in most of the people from the population. One of the main and the most effective tips that have innumerable benefits attached to it is that of a balanced and a healthy diet. This is not only good for the body and the skin but also quite profitable for hair. Including all kinds of nutrients in the meals will ensure that you have healthy hair and scalp but also that there is a boost in the hair growth. The food product that are rich in iron, omega 3 fatty acids, vitamin C, protein and essential fats will give you ideal outcomes in preventing hair fall. 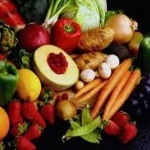 Some of the top foods that are advisable here are walnuts, beef, liver, flaxseeds, leafy vegetables, fish, pork, pumpkin seeds, beef, tuna, citrus fruits, potatoes, salmon, peanut butter, brown rice, nuts, broccoli, milk, cheese and a lot more. on the other hand, try and avoid all those food items that leads to hair loss, especially the junk and the fried foods. Herein, it is important to mention that one should include good amount of filtered water in the diet that flushes out the toxins from the body and the scalp and promote hair to grow. About 8-10 glasses of water are sufficient each day along with fresh fruit juices. Hair wash is something that you should adhere to every second day. The accumulation of dirt and toxins in the hair because of increasing pollution and oil production is very important to be cleaned with a mild shampoo that suits your hair type. Herbal shampoo is highly recommended for the purpose that is organic and safe and prevents hair damage and fall. Keep this regimen at least 3 times in the entire week for best results. This will remove the dust, dirt and bacteria from the hair and scalp and keep it clean and healthy along with hair fall prevention. Along with hair fall, unhealthy scalp can lead to infections as well. For that extra nourishment to the hair and the scalp, along with using a good conditioner for the hair just after shampooing, it is useful if you make hair masks once in a while and apply them for about 30-40 minutes. These can be easily prepared at home using home products and are really effective in keeping the hair healthy and free from issues of falling and loss. Beer rinse for example is a good home remedy to keep hair healthy. This can be done once a month for best outcomes. There are a lot of other hair masks that can be prepared. Mashed banana is a good hair nourishment provider and gives soft and healthy hair. Everyone wants to look beautiful and have an attractive personality especially in public, but do you want to do it at the cost of your precious hair? Hair styling is definitely in vogue but you should be aware that more the heat used on the hair the more it will lead to hair fall. The best you can do is either completely avoid the heat treatments or if that is not possible then keep it to the minimum. Use serums and hair protecting products before using any kind of heat on the hair. This will also prevent hair fall to a good extent. Hair oiling once in a while will keep in deep nourishment of the hair strands as well as the scalp. Along with this, a good oil massage helps in pressuring the points on the scalp and thus improves the hair growth. This should be done at least once in a week if possible for perfect outcomes. Oiling is definitely an efficient prevention for hair fall that has a lot of other benefits attached as well. It also keeps the hair long, shiny and black, just the way you dreamt of. Hot oil treatments are a good example of the same. 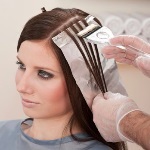 Avoid the habit of dyeing the hair with chemicals if you want to prevent hair fall at a good extent. Once is two months is the right amount of time that you should follow when it comes to dyeing. Semi-coverage is always a much better idea in dyeing than to use it completely on the hair and only on the grey parts. This reduces the risk of hair fall. Choose hair colors and products that have fewer chemicals or are herbal in nature. Stress is one of the major reasons for hair fall. This is something that is unavoidable seeing the competition and circumstances in today’s world. It is always better that you adhere to various techniques that helps you in keeping the anxiety and stress at a minimum level. This will definitely help in preventing hair fall. Yoga, meditation and proper sleep are some of the good ways in which you can achieve your goal without much effort.